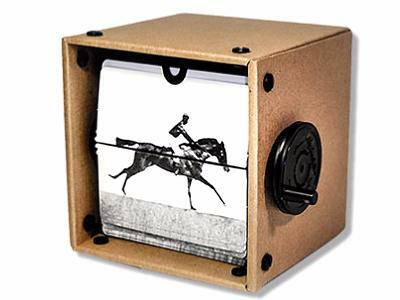 It comes with the Galloping Horse animation cards, these pictures were originally shot by Eadweard Muybridge in Califormia in the 1870s/1880s, partly to establish whether a horse actually had all four legs off the ground at any point during the gallop, and if so what position were they in. Some painters had previously shown galloping horses with their fore legs stretched out in front, and their rear legs stretched out behind. These photos established that a horse DID have all four legs off the ground at a certain point during the gallop, and that the four legs were gathered underneath the horse at that point. This optical device has been variously called a Kinora, a Mutascope, and also a 'What the Butler Saw' machine. 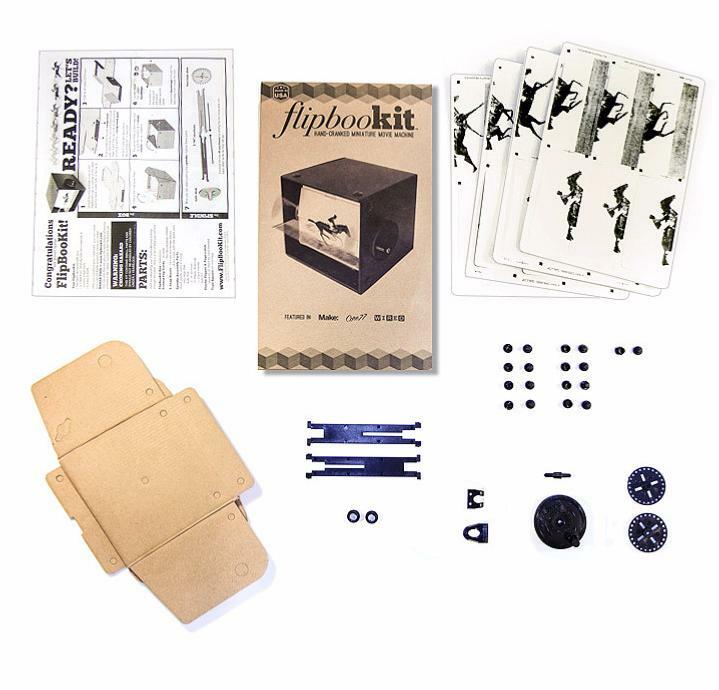 The kit is fairly simple to assemble, and you can then easily load the ready-made galloping horse animation cards. 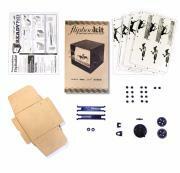 Please note - the set of Blank Cards are not included. These are available separately.